Summit Music Group out of St.Andrew, Jamaica presents a new riddim produced by APS Columbian entitled "The Zion Train Project". The riddim is stripped down, consisting of an acoustic guitar, a heavy, yet simple, bass line, and littered with nyabinghi drums throughout. Featured artists include Lutan Fyah with the compelling Living In The Ghetto. The veteran deejay Determine presents a multi-faceted flow on the track We Need a Miracle. Nesbeth's Nuh Feel Safe is another nice track worthy of mention. 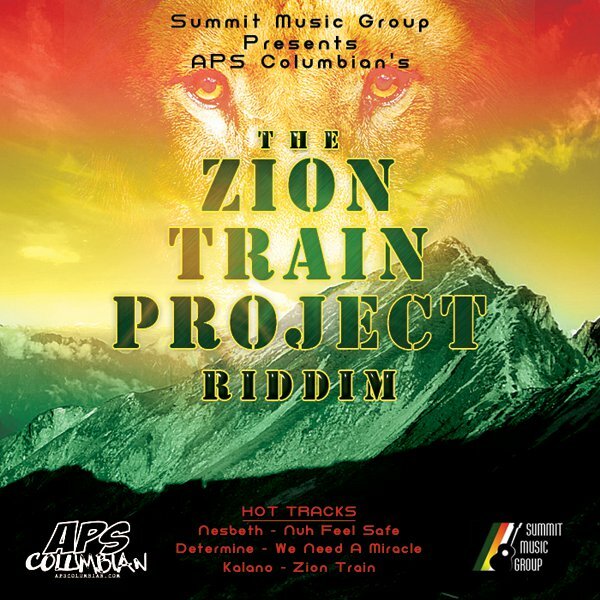 The title track Zion Train, by newcomer Kalano, is well crafted and well delivered. 15 tracks in all.